Christmas decorations at Patisserie Christian, originally uploaded by radiowood2000. Amazing decorations at a very nice bakery/cafe. Apparently located at both 12 rue de l’ Outre and 17 Place du Temple Neuf (it’s on a corner, where a street runs into a square) in Strasbourg. According to Archi-Strasbourg.org, the building went up in 1550. 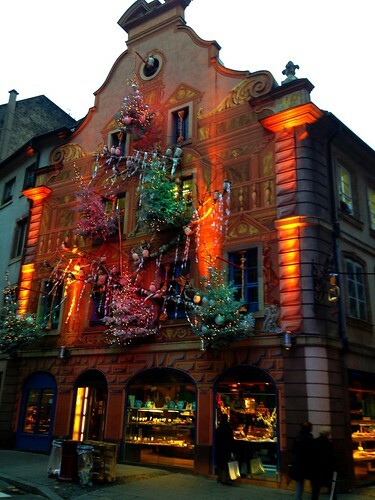 Some of the Christmas decorations here in Strasbourg are amazing (but then again, it calls itself the “Capital of Christmas“. 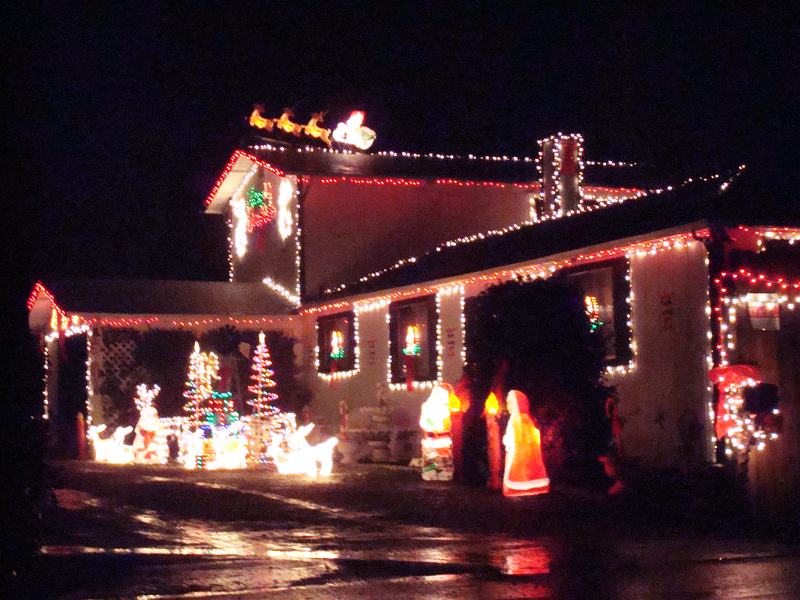 American houses can perhaps have even more decoration than here, but here it is very tasteful and not crude. American decorations can be awesome, but they sometimes just seem very gaudy . Sweden, on the other hand, has a lot less in the way of Christmas decorations. The lighting is almost always just white lights, as anything else is regarded as too flashy (and “American”). But Stockholm does have some nice Christmas markets, like this one in the Old Town.